We keep hearing it claimed that a warmer world will lead to more intense daily rainfall events. I gather that Julia Slingo has organised a letter to the Times making the same claim, which was also made in the recent report issued by the Met Office, regarding the UK’s spell of wet weather. Is there any evidence that this has been the case this winter? As far as the England & Wales Series is concerned, January has been much the wettest month this winter, with 184mm, so how does it compare with other heavy rainfall months in the past? Daily rainfall totals are only available on the Series since 1931, which is unfortunate because it would have been nice to check against the much wetter 1929/30. But beggars can’t be choosers! So I have selected the four wettest “winter” months between 1931 and 1960, well before any warming set in. 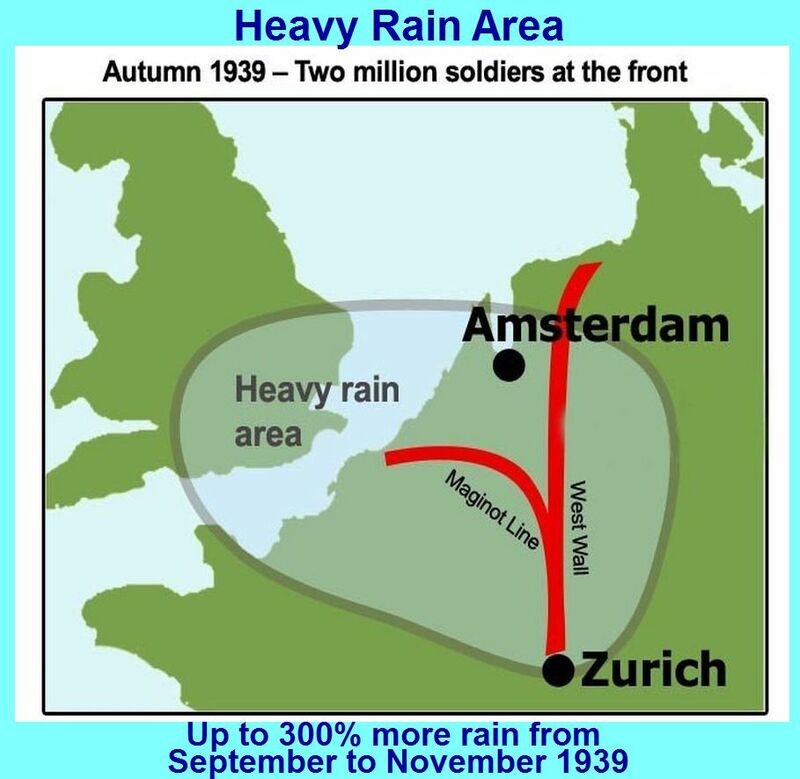 November 1940 stands out as not only the wettest month, but also the month with many more heavy rainfall days. In contrast January 2014 is similar to December 1934, and sits pretty much at the bottom of the pack. There is no evidence, therefore, that rainfall, this winter at least, has become more intense in the UK. None of this should come as any surprise, as a previous analysis showed the same thing. Slingo can play around with her models as much as she wants, but I prefer observations. ← Has Mickey Mann’s Case Against Tim Ball Collapsed? “wettest winter in over 250 years of records”. One factor that appears to have been drowned out of the weather reports, is (in England at least) how unseasonably mild it’s been. This fact was however reported in the financial columns, as the explanation for British Gas’s drop in profits. The 3-Month Outlook on that was wrong too. Of course the reason is the same – the Jet Stream position. No doubt councils spent a fortune stocking up on rock salt. And the NHS A&E departments have done relatively well! Que? Higher temperatures mean higher temperatures, pressure differentials dictate wind and potential precipitation. This had a big impact. For clarification: Text and image-link relates to October/November 1939! Sorry! *always a nice vague statement! does that include snow in the highlands or not? With the BBC who knows. Strange that despite having admitted that there has been no warming for over a decade and a half, the Met Office is still hell-bent on blaming every bit of weather even fractionally above or below average on AGW, isn’t it? Paul Homewood gives a reference to England and Wales Rainfall Series. The link correctly gives monthly precipitation – i.a. average for all stations. According to Paul: 0 days above 20 mm. Anyway, Julias point is not that there is an increase of average precipitation, but an increase of the frequency of extreme bursts. So, Paul has no reason to lecture Julia. He hasn’t understood what she is talking about. Please read all the article before you keep making a fool of yourself. The whole point of the post is about daily rainfall intensity, and not total rainfall. I have shown that, nationwide, daily intensity was no more than earlier similar episodes. I have also already addressed the issue of intense daily rainfall here. And this was clearly referenced in the post, if you had taken time to read it properly. As far your examples, they are no more than localised rainfall. If you had read my post properly, you would have realised it referred to country wide rainfall, which is something totally different. Finally the BBC report you refer to refers to trends since 1960. Unfortunately, you obviously have not realised that the 1960-90 period is well known to proper scientists as an unusually dry one, so it is hardly surprising if we are getting more rain recently. Meanwhile it is noteworthy that the Met Office have failed to provide one piece of evidence that “daily rainfall this winter has become more intense”.